Follow the steps in this article to identify your network's Router or Gateway IP address and your network's Subnet Mask. This information will be used when configuring your camera for remote access. 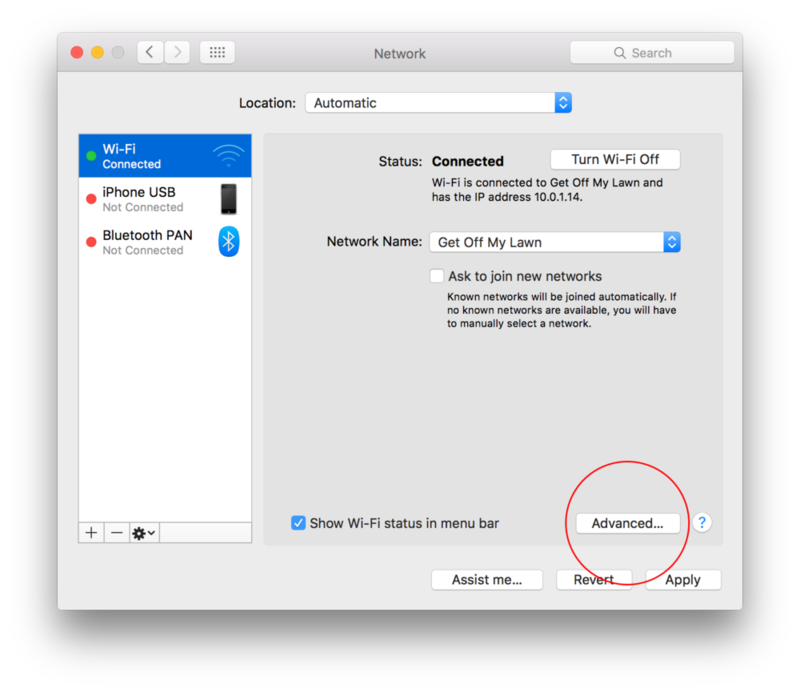 Select the connected network interface from the left sidebar: Wi-Fi or Ethernet. Write down the Router IP address and Subnet Mask. Your Router IP Address will also be used as your DNS Server address. Write down the IPv4 Default Gateway and IPv4 Subnet Mask. Your Default Gateway IP Address will also be used as your DNS Server address.